Ann Handley on the CMFF stage! 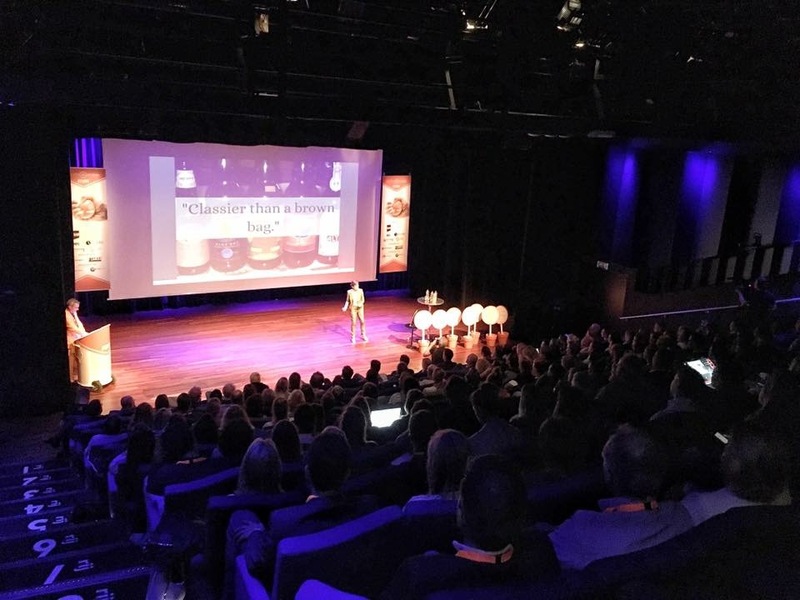 On Thursday 12 April 2018, we will celebrate the 5th edition of the Content Marketing Fast Forward conference in Amsterdam! The afternoon program – Inspiration – is all-English with international top speakers and never seen before cases from all over the globe. 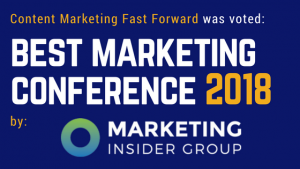 What is Content Marketing Fast Forward? The afternoon program boasts a wide variety of international top speakers and cases from all around the globe. In previous editions, we were proud to bring giants like Joe Pulizzi, Andrew Davis, Doug Kessler and Ann Handley as our keynote speakers. In between the opening and closing keynote speakers we feature four different best practices from across Europe. In previous editions, we had the likes of Philips, Vodafone, Schneider Electric, Zurich Insurance and Jyske Bank on our stage, to name but a few. Why should you attend CMFF? In 2018, we will continue to aspire to be the leading event in the European Content Marketing space. 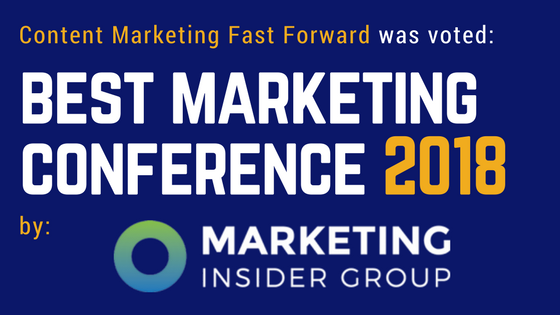 The overall theme – “Shifting Gears” – will be recognizable for all marketers and communication professionals. Moving forward, independent from the maturity stage in which your company currently finds itself, is all about shifting gears! Sometimes you have to reverse to see the bigger picture and sometimes you shift to the highest gear to get results. As last year, we are expecting around 240 marketers and communication professionals from both brands and agencies. The #CMFF conference has a unique line-up in both speakers and cases and is a great way to get up to speed fast of the latest thinking on Content Marketing in Europe. An inspirational and very personal talk focusing on how we all individually need to find the key to trigger creativity and be able to unleash distinctive, unique and remarkable content to serve our business purposes. Laz, originally from Serbia, is the former Head of Brand Planning for Google ZOO in London, Google’s creative think tank that works with the biggest clients and the biggest agencies to learn how to be creative on Google platforms. His personal mission is to transform light into heat – the abundance of data in Google’s universe into emotional territories for big ideas. He also served as Planning Director in several London creative agencies and was one of the first digital strategists in the United Kingdom. He is currently professor at the Media & Communication Faculty of Belgrade University and writing his next book “The Definitive Guide to Strategic Content Marketing: Perspectives, Issues, Challenges and Solutions”. Case study: KILLING MARKETING: HOW A FORTUNE 100 COMPANY CREATED A LIFELINE FOR INCREASING THEIR CUSTOMER BASE BY BUYING AND DEVELOPING MEDIA OUTLETS door Victor Gao. This inspirational case, demonstrates the combined industry interest and business opportunity of safeguarding the future of existing trade publications that need to find their new position in a changing media landscape. We are proud to announce that the first best practice of the 2018 #CMFF program is also highlighted in the most recent book by Joe Pulizzi and Robert Rose, ‘Killing Marketing’. This global content distribution case will be presented by Victor Gao, based in Hong Kong, as Vice President of Digital and Managing Director of Arrow Media Group where he leads all aspects of Arrow’s global media publishing and marketing services business. In that role, he has led Arrow’s global content and media strategy and acquisitions of numerous iconic industry publications acting as Group Head and Editor in Chief of Arrow’s own independent media company AspenCore. Prior to Arrow, Victor served in various senior media leadership roles at Microsoft and Yahoo!, and began his career as a management consultant with McKinsey & Company in the Media & Entertainment Practice. See the rest of the program here.